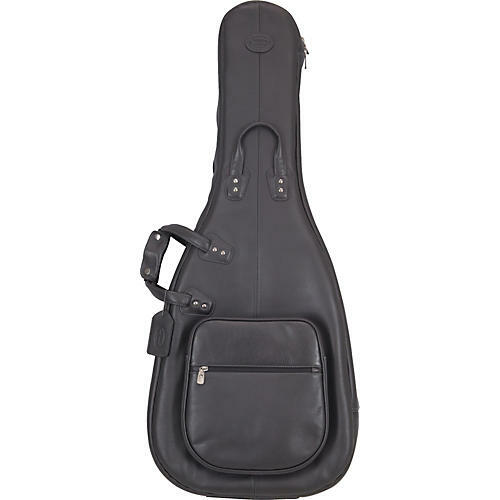 The professionals' favorite year after year, this dreadnought acoustic guitar gig bag from Reunion Blues will up your personal "wow" factor while providing unmatched protection for your cherished bass with elegant design, extravagant comfort, and rugged construction. features leather string guards, hook-and-loop neck strap, and a foam neck support block. Gusseted sidewall construction adds extra protection. Adjustable backpack straps make it easy to carry your guitar. A front zippered pocket keeps your picks and strings close by. Reunion Blues instrument bags are distinguished by elegant design, are made of durable leather or fabric, offer protection of a unique double-foam system, and have soft fabric linings, roomy accessory pockets and shoulder or backpack straps for easy transport. They are constructed so as to provide a snug fit without damaging pressure on sensitive instrument components. They also come with a limited lifetime warranty.